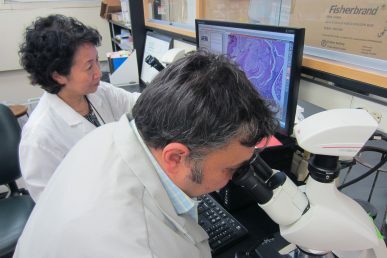 The findings, which are published in PLOS ONE, suggest that periodontal disease, a common but preventable gum infection, may be an initiator of Alzheimer’s, which currently has no treatment or cure. 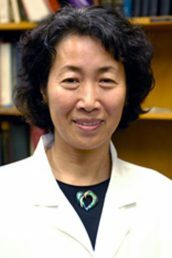 To study the impact of the bacteria on brain health, the Watanabe and her colleagues — including Dr. Vladimir Ilievski, UIC research assistant professor and co-author on the paper — established chronic periodontitis, which is characterized by soft tissue damage and bone loss in the oral cavity, in 10 wild-type mice. Another 10 mice served as the control group. After 22 weeks of repeated oral application of the bacteria to the study group, the researchers studied the brain tissue of the mice and compared brain health. The researchers found that the mice chronically exposed to the bacteria had significantly higher amounts of accumulated amyloid beta — a senile plaque found in the brain tissue of Alzheimer’s patients. The study group also had more brain inflammation and fewer intact neurons due to degeneration. Additional co-authors on the paper are Paulina Zuchowska, Stefan Green, Peter Toth, Michael Ragozzino, Khuong Le and Haider Aljewari of UIC, and Neil O’Brein-Simpson and Eric Reynolds of the University of Melbourne.